This is Gima tunic. For those that have not seen the intro post for Challenge 15, it's the sketch on the right, the one without the pockets. It turned out a little bit different but I really like it. I wore it all day today, and it was really, really comfortable. The tunic turned out a bot different than the sketch. For one it has more of an A-line, and I did not do hem pintucks. The fabric was too thin and I think that was the reason I had hard time keeping the tucks straight and parallel. Another reason was that the hem turned out to be a little curved - because of the A-line, and I didn't want to have make tucks on a separate strip of fabric (like I did for the sleeves) and add it on. Oh, and I wouldn't have enough fabric anyway. I could barely get these pieces as is. 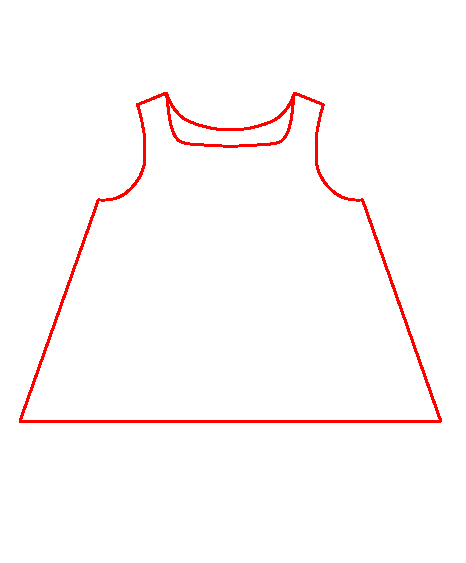 Also, with the A-line, this top has more ease than in the sketch, making it more loose and really comfy. The closeup of the tucks in the front. I had a little "duh" moment here, almost had to do the tucks panel all over again (and I do not like to make mistakes; I do not like to have to redo things). When I cut the front, I cut it with the panel, I never really made a pattern for it. I thought I would leave the panel in (not cut it out) at first, to make sure the neck sits nicely. 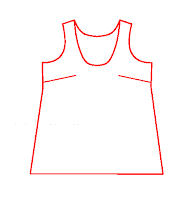 Then I would cut out the panel and use that as a template for the pintucked, finished panel. Well, I miscalculated the seam allowance, so instead of my usual 1/2 in, I ended with a 1/4 in. Almost wasn't able to fit it. The workaround was to use 1/4 in seam allowance which made the neck narrower by 1/4 in on both sides, but luckily that wasn't a big deal. This is just to show you how nice and flat it sits on the chest. I didn't use any stabilizer on the panel. The pintucked, front piece was a little stiffer because of the tucks, and then I added the back to it, and it turned out stiff enough. Neck is finished with a bias tape. And finally, the sleeves. Another "duh" moment. Well, sort of. When I drafted and cut the muslin, I did not take any width at he sleeve opening. It was simply straight. I though I would take it in after I make sure the sleeve fit well. I kinda forgot. So I cut strips for the pintucked part, made them as lond as I wanted the opening of the sleeve to be, and added some gathering to narrow the sleeve. Like a cuff, really. It turned out to be a nice little detail. 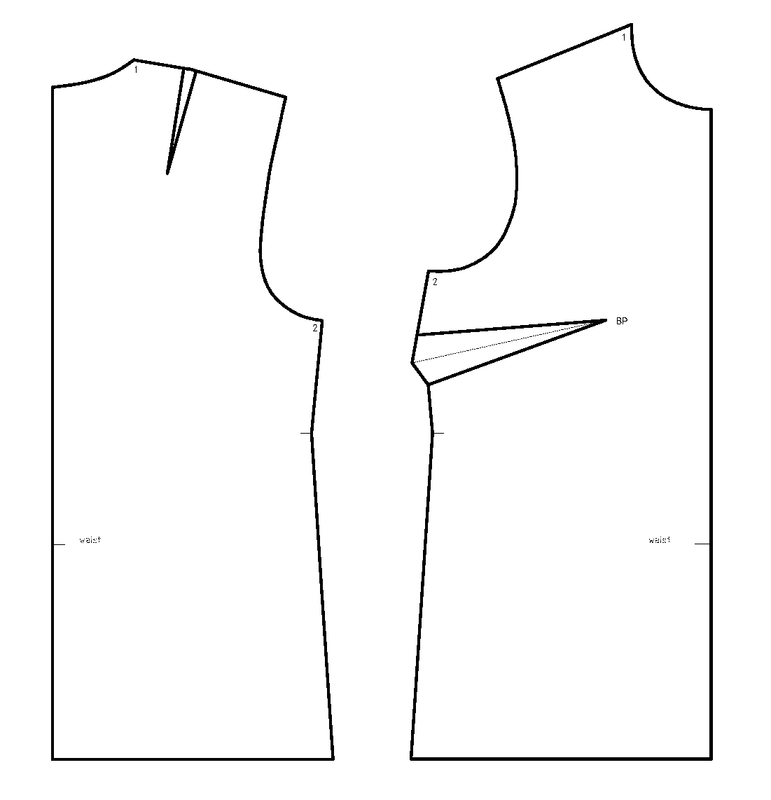 However, when I do the other version of the tunic (sketch on the left) I will do a long sleeve, and then I will make a sleeve narrower at the opening. Things will be quiet for a while here. School is done, and we are taking some time off to visit our family in Europe, so we'll be away until mid August. Then I will be back with more drafting.